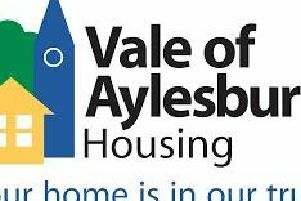 The club has been playing football in Aylesbury since 1968 and has established themselves as one of the oldest clubs in the area. The club train at Bedgrove Park on a Saturday morning and the senior teams have been playing there for some time, but with the club constantly attracting young players from all over Aylesbury District​, the need for pitches on match days became a vital issue. Last season the Dynamos were given pitches at Aylesbury FC​,​ by the late chairman Danny Martone, ​who was keen to offer a place to house the Dynamos mini teams - made up of players aged 6-10 years old. This season has seen relationships continue to grow with the Bedgrove club hosting eight mini soccer pitches at the Haywood Way ground. This still left the club without a secure venue for their youth and men's football. Councillor Mark Winn who has always taken a keen interest in the club, spoke with Chairman Mike Borrett and C​lub S​ecretary Iain Willcocks and organised a meeting with AVDC officers to discuss the future of the club and how they could help. One of the many ​things discussed at the meeting was the amount of money the council has to put into maintaining pitches for football. When Mike explained Bedgrove Dynamos had the equipment, volunteers and time to look after a ground, council officers put a proposal forward for the leasing of Bowlers Field - an area in the past that had been used as a summer pitch and had all the facilities needed by a football club already there. Over the next few months, with the help of Chris Ashton,​ Parks Officer, and Denise Martin​,​ Property & Estates Manager, the wheels were set in motion to secure the ground for the club. Bedgrove Dynamos called on managers, coaches, mums, dads, players and fans to help cut pitches, paint walls, build fences and anything else needed to get the ground up to scratch ready for the new season. Chairman Mike Borrett said, "Everybody has worked so hard throughout the summer and given up so much of their time and effort to make this happen. It was a big ask to get everything ready for the opening weekend and there were times I wondered if we would pull it off, but in scenes reminiscent of DIY SOS, the Dynamos family came together and smashed it. I couldn't be prouder of every single one of them. Cllr Angela Macpherson, AVDC Cabinet Member for Communities, said, "AVDC currently subsidises playing pitches and pavilions, and due to the loss of government funding this will become harder in the future. Clearly, Bedgrove Dynamos' leasing of Bowlers Field is a great initiative, and a positive step towards making football financially sustainable within Aylesbury Vale." Saturdays opening game of the season for Bedgrove Dynamos men's reserves, was refereed by Peter Rice, Chairman of the Aylesbury & district League (ADL) who had said, when he had seen the games venue was Bowlers Field, he thought it was a joke! He explained at the time, "I know the venue and it has a reputation for being full of holes. An unplayable pitch." The future of the club certainly looks bright, and the new venue has added a real buzz to what is already a great area for all weather pitches and weekly parkruns. The next step for the Dynamos is to plan for next years 50th birthday. The club is also on the hunt for a kit sponsor and feel with the presence of the club in the Vale, it's a great opportunity for somebody to promote their company on 450+ shirts every weekend all over the county.